Perhaps your ancestors lived in a log cabin in the old days? This type of iconic home was built and enjoyed by many settlers and pioneers of different new lands, and some still stand today. Some log-built structures in Northern and Eastern Europe are still standing today and have stood for many centuries, even since the 14th century. 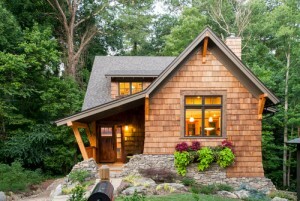 Would you want the same-old, simple, just-like-all-the-others home? 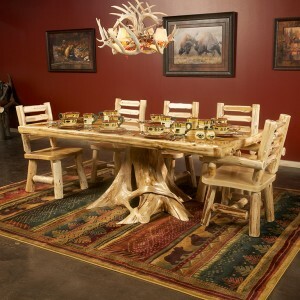 Or would you rather stand out from the masses with something as rustic and stately as a log home? Living in such a unique home adds a wholesome and historic feel to your life, filled with the age-old pioneer spirit, as well as to the whole neighborhood. 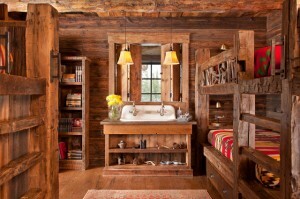 Obviously, the rustic beauty of a log home is alluring enough to almost pull you into it by force. There's just something timeless about such construction, and the natural beauty outshines homes built in the more modern, conventional way. Finding a beautifully well-built log cabin amid other hum-drum style homes is like finding a unicorn amid a herd of wild mustangs. 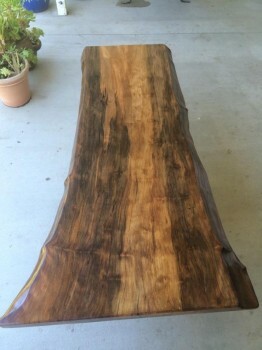 And the beauty isn't only just "skin-deep" - such natural rustic beauty is on the inside as well. 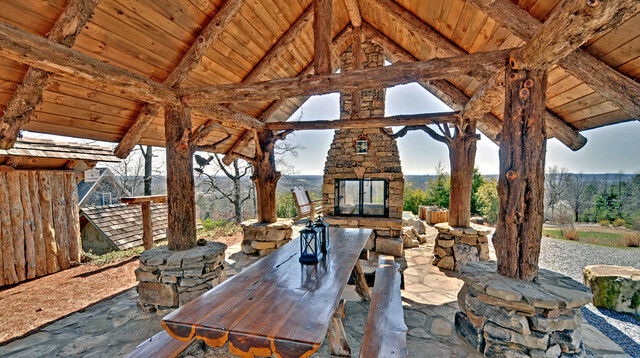 You can have any kind of home that you'd like, and make it comfortable, but log home living is the coziest you can experience. Picture having your family over for the holidays, and sitting all gathered around at the fireplace after an evening meal. Imagine how cool the interior would be in the summertime, and how warm it would be in the wintertime. Imagine waking up and opening your eyes to log-constructed walls and hopping over to the kitchen for hotcakes and maple syrup for breakfast with your family in your log cabin home - ah, yes... that's the life! 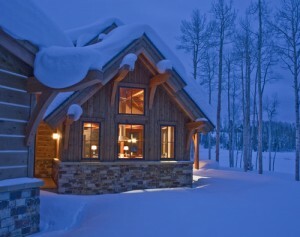 The insulative properties of log houses are perfect for keeping the interior cool in the summer heat, and warm in the winter cold. 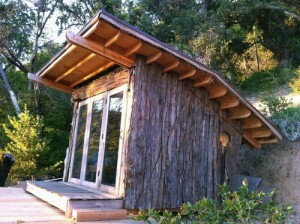 Not much energy is required at all for this, due to the log construction. Also, many log cabins and log homes kits are milled from reclaimed timbers so that there is no cutting down of forest resources. 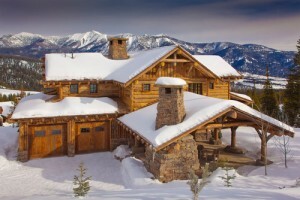 Termite damage, winter-nesting bees, ants, spiders and so forth can infest any modern conventionally built home... but whereas most log homes are constructed of types of wood such as cedar, this would never be a problem. Cedar and other aromatic type woods of a similar kind, have natural insect repellent in the oils which naturally permeate such woods. Much like a cedar chest is used to stow away woolen things to keep moths from consuming them. 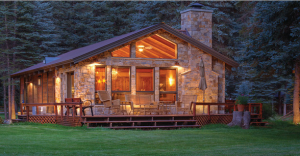 In the case of log homes kits, which by the way is how most log-built structures are made today, the expense of both time and money is drastically reduced. Construction time used to take many months, perhaps more than a year - but with pre-milled logs shaped to precise specifications in a factory setting, parts numbered in the order of construction, and all delivered to the construction site with most of the work done for you, building it can now take a mere few short weeks. Due to the way such pre-milled logs are produced, it also creates the situation of the lowest per-log cost there can possibly be. 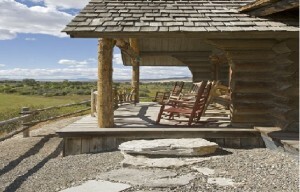 This is why log cabin kits are the most sought after means of achieving log home living today.